We tailor our menus to suit your needs. Please contact our sales manager, Lynn Ford-Banton at lynnb@davios.com or 212-286-9819, for more information and to discuss options. 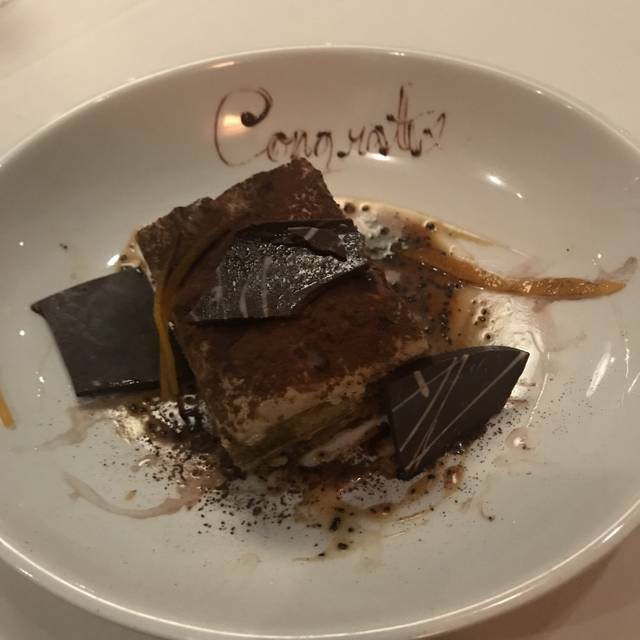 Whether celebrating a special occasion with family and friends or hosting a corporate event, at Davio's Manhattan, it's all about the guest! With several options from small and intimate to larger affairs, Davio's Manhattan is an ideal choice for your next private event. Everything made by hand from the best ingredients. Serve everything from aged steaks to simple-yet-unique pasta creations. 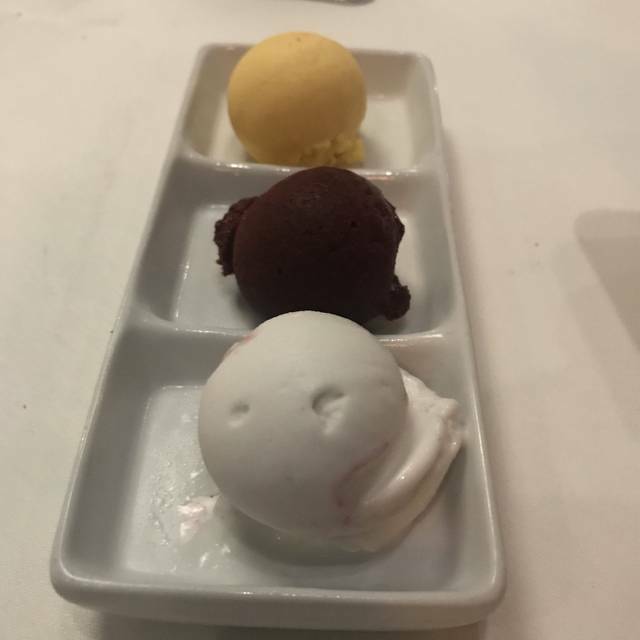 Mirror this philosophy in the kitchen with our expert and attentive staff in the dining room, seeing to your every need and taking pride in your enjoyment of the meal. Davio's has since opened locations in Philadelphia, Foxborough, MA, Atlanta, Chestnut Hill, MA, Lynnfield, MA and Manhattan. We will be open from 12 pm - 9 pm on Mother's Day serving our dinner menu in addition to Dinner Features. We look forward to celebrating Mother's Day with you. We will be open from 3 pm - 9 pm on Easter Sunday serving our Dinner menu in addition to Dinner Features. We look forward to seeing you to celebrate Easter with us. Lovely restaurant. Food good not overwhelming or exciting. Just good and reliable. Waiter a bit high energy and eccentric. But I guess that makes the meal special. Local go to. Service was amateurish and food was mediocre - my steak was raw. Expected a lot better for the price tag. This is a great option for people with and without gluten and allergies to share a delicious meal together without having to share the same food options. Of which I can't speak more highly of the gluten-free bread which in my mind is better than most standard bread options at similar restaurants! My second time at Davio’s. Great place! Drink, food, service all amazing. Perfect location right across from GCT. Our waiter was wonderful. We all had filets that were amazing! Would definitely recommend and we'll be back! A marvelous gem of a restaurant! Virtually hidden on a lower level ~ I’d never have found it without Open Table! Excellent selections...but pricey! Definitely great for special occasions! Although a bit pricey, as everything is a la carte, the food is delicious, one of the best steaks I’ve ever had. It was cooked to perfection. Sides were very tasty as well. Service was gracious and attentive, and special attention was given to one in our party who has Celiac disease. They have great gluten free options. The ambiance is conducive to a romantic dinner to a business or family dinner. Although it was full (on a Saturday night), our party of seven could carry on a conversation in a normal tone, which was much appreciated. It is also right across the street from the Lexington Ave. Grand Central Station entrance/exit, so very convenient if you are taking the train. A good option for a pre-theatre dinner! Want a wonderful find for us. We throughly enjoyed ourselves. Davio’s Northern Italian Steakhouse is one of the best restaurant experiences you can enjoy in Manhattan. 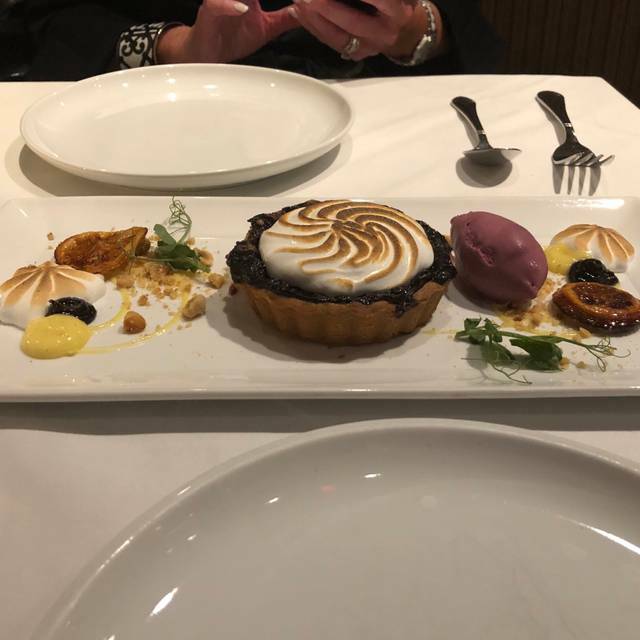 The General Manager and her staff provide an exquisite dining environment complimented with fabulous menu choices, fantastic service and a fanatical desire for more of the menu. That is why this restaurant is a must have bookmark that is so good that you may feel guilty by keeping it a secret for yourself, but that would not be a well kept secret! I invite you to relish in this restaurant treasure. I like Davios. The food is excellent. The service is very good and the employees work hard to create a pleasant dining experrience. I have been here a number times for both business and pleasure an d have always had a good time. I will share a little secret, Sunday nights bootyles of wine are half priced. Impeccable service and attention to detail. Will be back next time I am in NY. I was called asking how my experience was. I mentioned that I didn’t receive an itemized receipt, but hadn’t wanted to make a stink in front of the recruit. The first person I spoke to calculated the bill and said I wasn’t likely overcharged. The manager then berated me after taking up 10 minutes of my time to find her copy of the bill (I provided the receipt ID and table number to each). Even if I wasn’t overcharged, the behavior was atrocious from the Manager. Won’t be back. A last minute choice that turned out to be excellent. 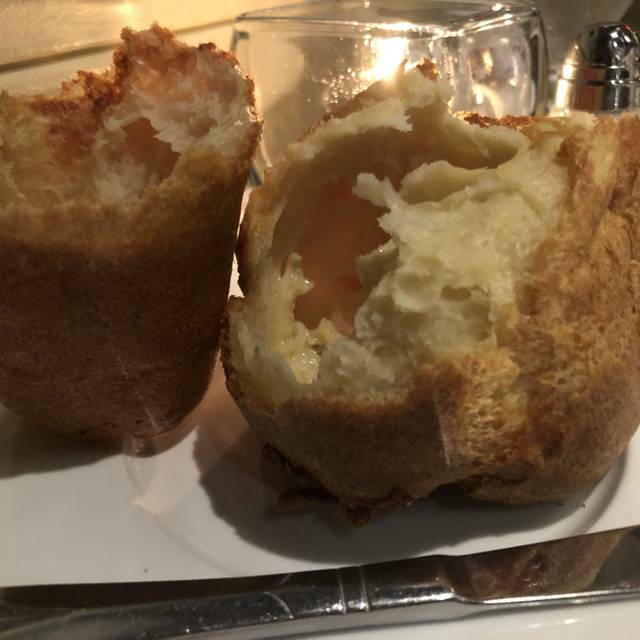 The popovers that come before the meal were outstanding...even better than I make at home. Steak was great and server did a great job. Very good meal in NYC. 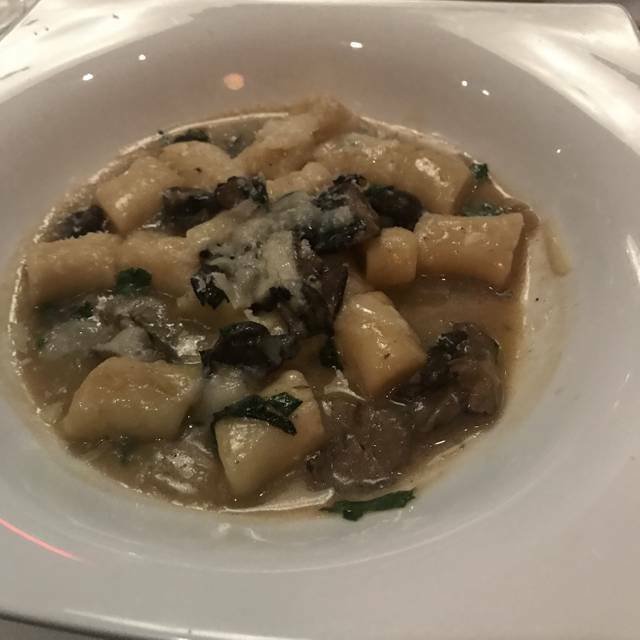 Everything was very very good - Davio’s has been a consistent place for us in NYC for many years. Service and Food are terrific. From drinks, apps, main, and deserts. If you want a great spot for dinner mid-town west side, steps from Grand Central - Davio’s is the one. Very good crab cake appetizer and hamburger was excellent. Very fine service. Would highly recommend it. Nice ambiance. Consistently reliable service and very good food. The menu allows for a decent variety of choices. This place is great! Our waiter, Brian, is a true professional. We asked for a wine recommendation and he nailed it without breaking the bank at all. The octopus appetizer was excellent, the steak was perfect and the bolognese was delicious. One of my regular stops when I’m in Manhattan! I would not recommend this place for a good steak. I had my doubts but wanted to try some place new. It’s over priced ! I had a $30 add on lobster tail it must have been all of 2 ounces, dry and over cooked. And a $60 rib eye, again, a small portion and nothing terribly great. Staff was nice but food for the price was a rip off. My bill was $300 with the tip for two people no appetizers and just a few drinks. Where did it all go? I want my money back! 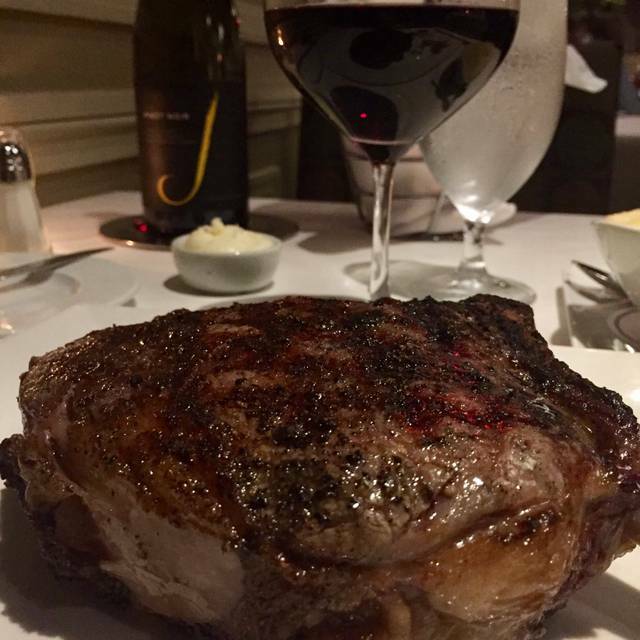 If you want steak, go to a real steak house. 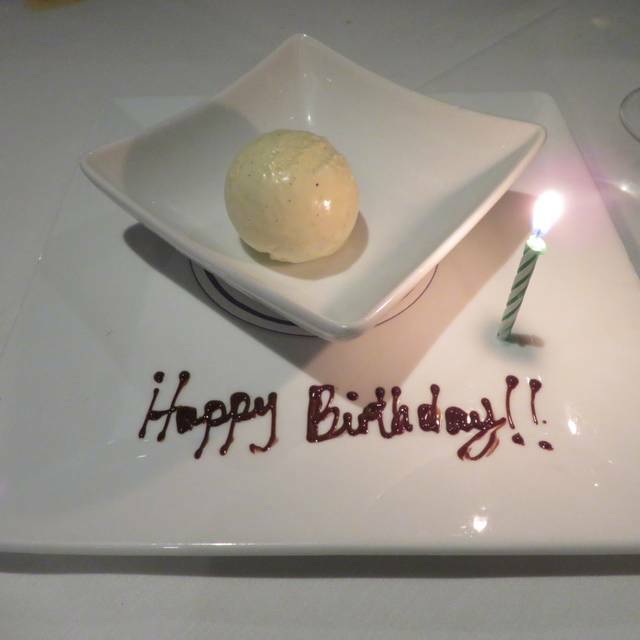 The food was exceptional and the service excellent as always! 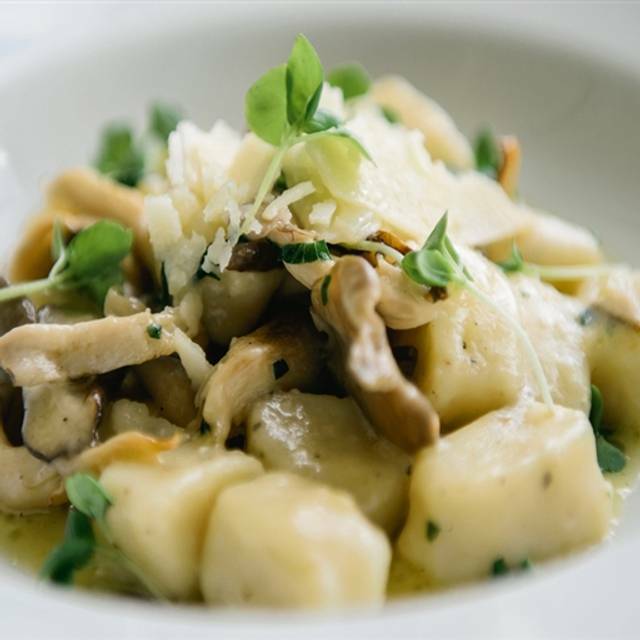 Davio's is always a great place for a quality lunch or dinner. Their service is always on-point and they always prepare a steak exactly the way you ask. It's my go to place when I want a great meal! Always a wonderful experience at this amazing restaurant. Friendliest staff, outstanding cuisine and a beautiful setting make this my favorite restaurant in New York City. Fantastic. Great Northern Italian pasta, perfectly cooked steaks, spinach to die for. I’ll be back! Always a great meal at Davio's! One of our favorite places to celebrate special occaisions. This was a very good dining experience, once we got in!!! The front door was a little deserted and physically hard to open! You then walk down a level and the restaurant is lovely and quiet and good! They even called the next day to thank us for coming. My wife and I started with kobe meatballs (of which I still swear my late grandmother prepared) and a wonderful grilled asparagus. We had the filet mignon and the swordfish both of which were perfect! Great food and service. Will go back next time I’m in NYC. From the drinks, appetizers to the main course the food and service were fantastic! A little pricey, but the food was excellent. We had a nice discount for attending a session at the Wyndham.Midtown 45. Was very overpriced and the food took forever. Understand it's Valentines Day and the restaurant was busy but there were two tables next to us that were empty for the duration of our meal so we know it wasn't at full capacity. A restaurant should be able to service the tables it has with efficiency. If it can't, it shouldnt have that many tables. Also, $16 for a small desert cake is outrageous. Very good meal. Octopus appetizer was delicious. Scallops with ground sausage (chorizo) was a great combination. VERY close to Grand Central. Perfect for an after work dinner and quick train ride home.